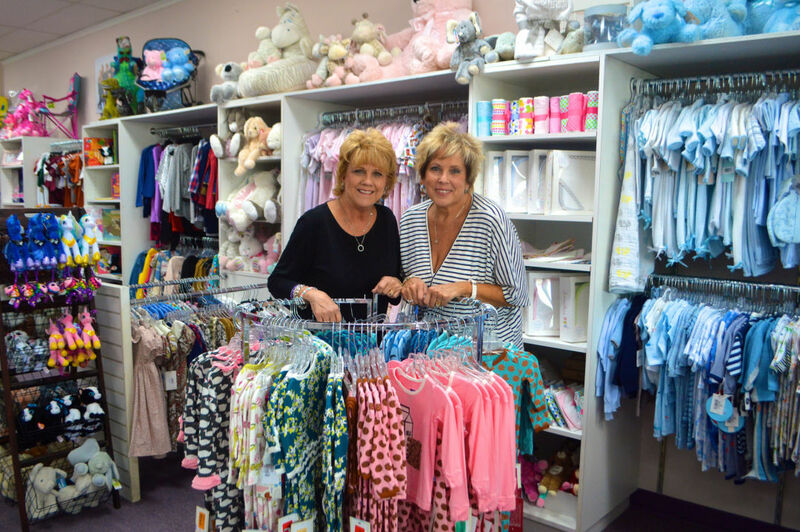 Sweet Bambini owners Pam Claiborne and Bonnie Palmer at their Memorial boutique. 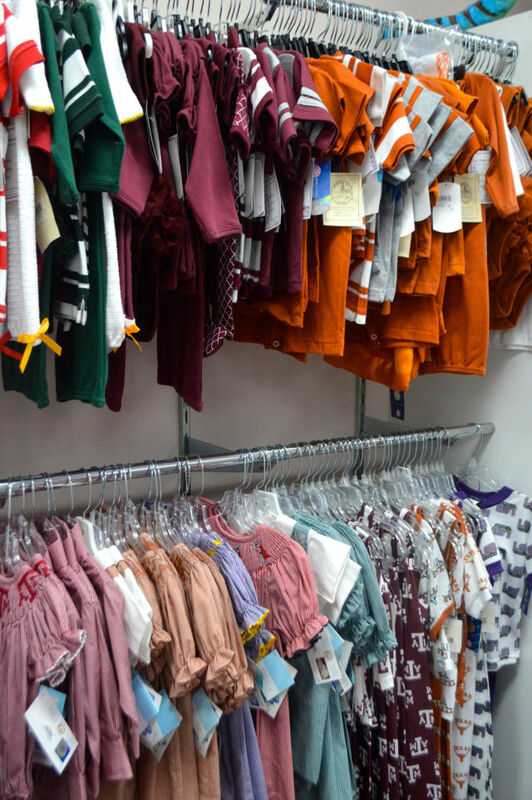 Based on the store windows, the owners of Sweet Bambini are ready for the Thanksgiving Aggie-Longhorn football game: Pint-sized cheerleading outfits and pajamas bearing the logos of Texas’ biggest college rivals are prominently featured. Head inside for more pint-size charm: intricately monogrammed newborn photo albums, seersucker backpacks, layettes for days, and bandana-paisley nap mats help to brand the store with a classic Texas-Southern flare. 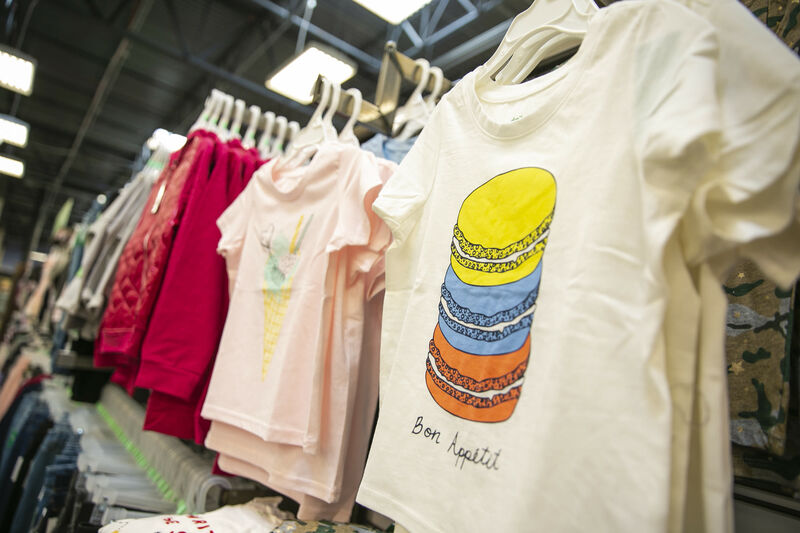 Simple in stature and décor, tucked away in an unassuming strip mall at the corner of Kirkwood and Memorial Drive, Sweet Bambini offers precocious gifts, eye-pleasing clothing, and beaucoup customer service. On the racks: collegiate clothing, just in time for football season. “We are a neighborhood store and are proud to offer services like curbside pickup, custom phone orders, and internet orders; you can even call us and let us know an occasion you are attending and your budget. 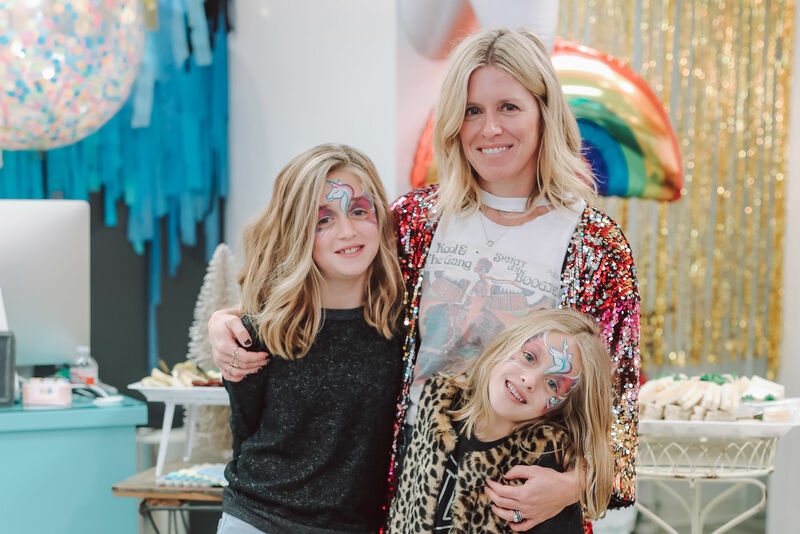 We’ll select the perfect gift, wrap it, and have it ready for you within 10 minutes,” says owner Pam Claiborne. Featuring trending brands like Natives shoes, KicKee Party pajamas, and Rodoh youth outdoor clothing line (with built-in UPF protection), the store has created the perfect balance between what’s new and classic children's apparel that has stood the test of time. A play area in the back of the store near the changing room is another perk, complete with play shopping carts, dolls, and stacks of puzzles. Stocking up for newborns is simple with a selection of practical accessories and items being available such as Wub-A-Nubs, sleep sacks, swaddlers, custom photo albums, and an array of Christening outfits. 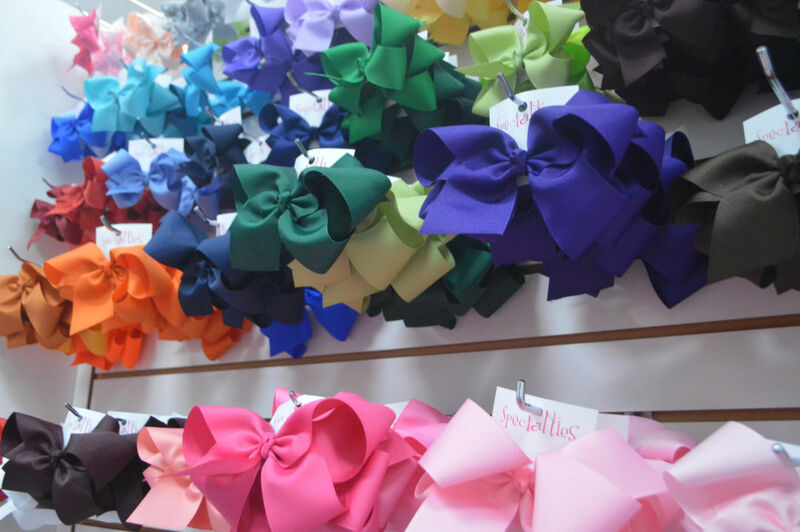 School accessories such as lunch boxes, nap mats, backpacks, monogrammed hair bows, and more help to round out the selection for toddlers and up. 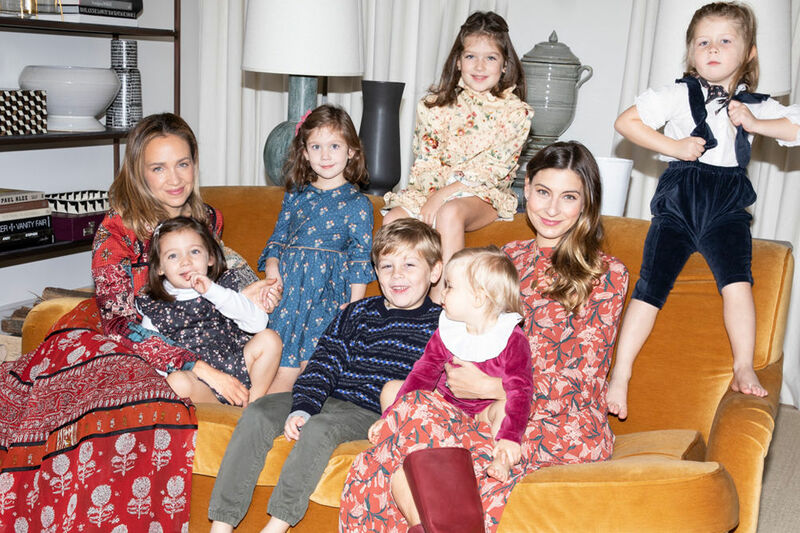 Repeatedly rated one of Memorial’s best children’s boutiques, Sweet Bambini is a rare gem—a family-owned business with upscale customer service in an area inundated with big box stores and chains.